After graduation! 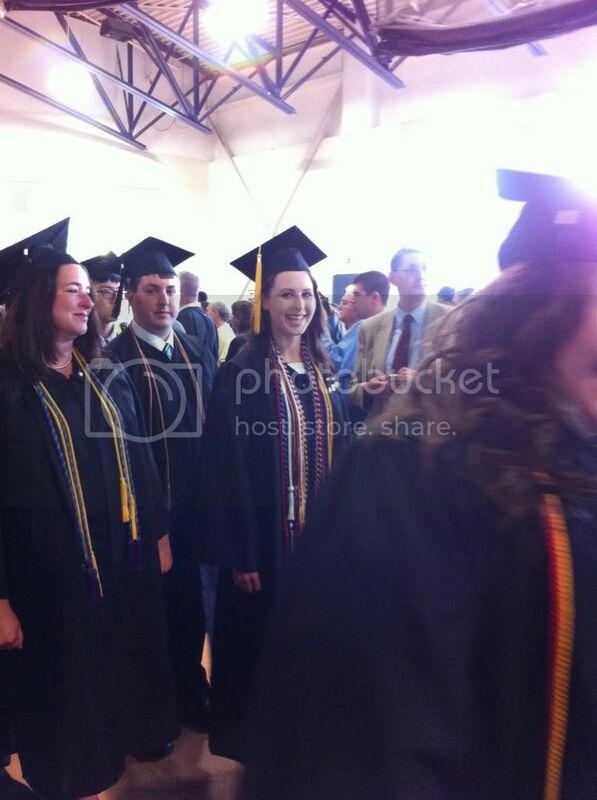 Now a full fledged graduate! Hello everyone! As you know, I have been at my daughter’s college graduation in Ohio. The four days we were gone have been some of the best in my life! 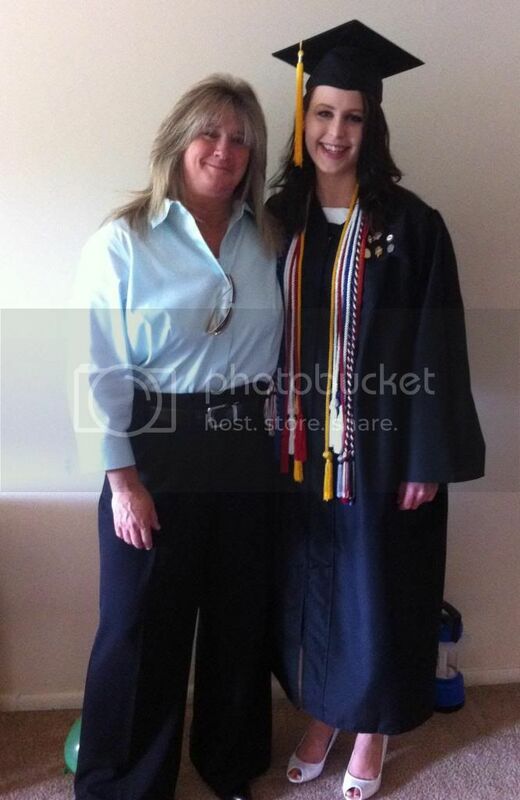 Seeing my daughter was great, but seeing her graduate was the best ever! I have missed being on the internet and seeing what you have been up to though! I have also missed sharing my recipes, crafts, frugal ideas, etc. with you! If you know me very well, and some of you really do, you know I am not much of a bragger. I am what I am and I have what I have. I am not better nor worse than anyone. With that being said, I am going to brag! Many years ago, Big and I made the choice to homeschool Taylor Ann (yes, two names – she was born and bread in Texas after all!). Homeschooling her was the best thing we could have ever done. Big’s career was moving up the ladder and that meant we moved every 2 to 3 years. Taylor Ann didn’t have to go through changing schools. We found that starting a new homeschool group was easy. You see, in my opinion, most homeschoolers feel somewhat like they are outsiders, so they easily accept new people! We met some great people during our homeschooling days! I could go on for a very long time about the great experiences we had. Taylor Ann was unschooled and was involved in many extra curricular activities. This made her a well rounded student and one that loved learning. I strongly believe this approach to schooling (and the fact that she is pretty smart!) aided her in becoming the college student that she was. She graduated with a Major in International Leadership with am emphasis on Non-profit organization She has a minor in Spanish, Political Science and Marketing. Taylor Ann held an office in the College Democrats organization and created and held an office in the Martial Arts club on campus. She was a Resident Assistant for 3 years and worked in the Communications Lab. Taylor Ann volunteers for the Leadership Conference for 2 years and was the chair of the conference her last year. She was elected to represent Marietta College at a Leadership Conference that was held in Annapolis, Maryland at the Naval Academy. Taylor Ann won the Sherrill Cleland Prize in Leadership. 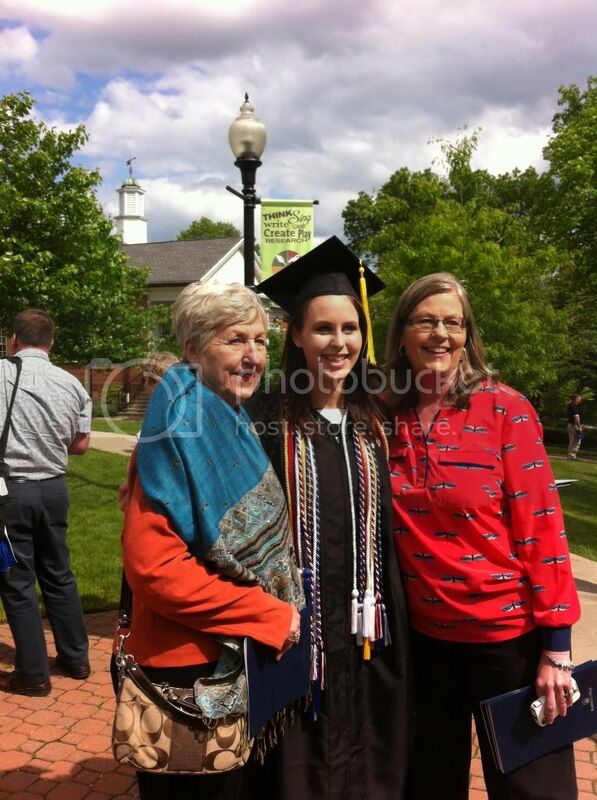 She was the highest honors female student in the 2013 Graduating Class of Marietta College. A few more steps to graduation! If you would like to read more about Taylor Ann and what she thought about her education – hop over to Something to Offer and read a post written by her! Thank you for stopping by and taking the time to read about my daughter! She is beautiful on the inside and the outside and I love her very much! YAY and congrats to Taylor Ann for her wonderful accomplishments and to you for giving her the opportunity to learn, explore and grow through unschooling. As a mom who did the same, I applaud you. My kids are grown, graduated, been to college and now have careers. So to those who questioned us. HA look at our babies! HAPPY DANCE and bragg away my friend. Now off to read her article. Cynthia: You are a true testament to what can truly be accomplished if you try. You home schooled your beautiful, bright daughter who will now do something positive to change the world. I just know it. Congratulations to Taylor-Ann for all of her hard word and dedication to her education and her future. And double congratulations to both you and Big for all that you did for your daughter. God Blessed you many times over! Congratulations Cynthia and a world of blessings to your daughter. What a proud moment for you and your family! Yes girlfriend you have every right to brag! Love ya! Beautiful post and pictures!